Sun is out and it's cold, cool! 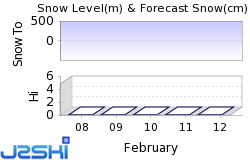 Upper Slopes : Packed Powder, Lower Slopes : Packed Powder, Off Piste : Spring Conditions. Quiet pistes, spectacular views and well-maintained runs making for enjoyable skiing under blue skies in Les Angles this week. The sun is out, although the air was cold yesterday, keeping the previous day's top-up of a few cms feeling good underfoot (ski) on the pistes. 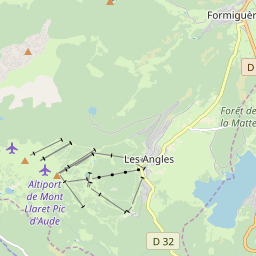 A few pistes (notably some South-facing Red and Black runs) are closed due to thin snow cover, but the extensive snow-making in Les Angles is keeping the majority of the domain in good condition. Although the base is clearly thin, the Pyrenees not having had the big snowfalls that have blessed The Alps this season, the pistes are in great condition - albeit getting slushy lower down toward the end of the day. Ski Hire Shops in Les Angles.